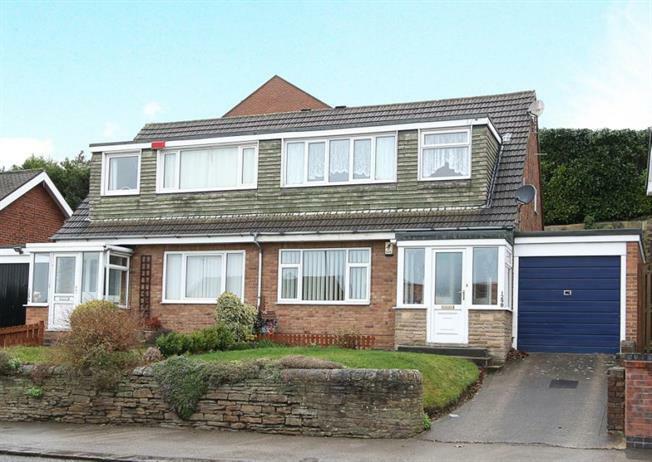 3 Bedroom Semi Detached House For Sale in Chesterfield for Guide Price £145,000. Well Proportioned Three Bedroom Semi Detached House With Garage, Low Maintenance Garden And No Onward Chain. This well presented three bedroom home briefly comprises of entrance doorway leading into open plan living/dining area which in turn leads into the nicely presented kitchen with door leading onto the rear garden. Stairs lead to the first floor landing which provides access to the three bedrooms and family bathroom. To the front of the property is a driveway leading to the Garage. To the rear of the property the low maintainence garden is mainly paved.